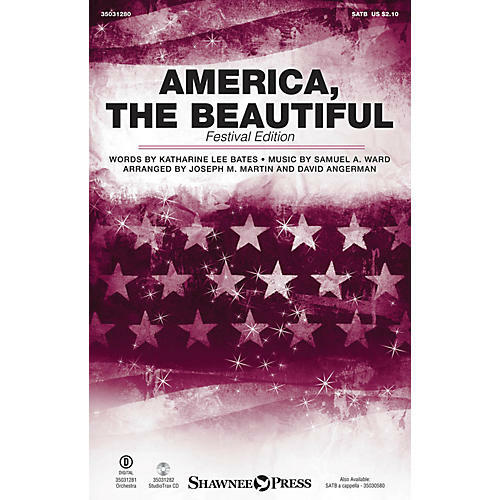 Uses: Concert, Patriotic Scripture: II Chronicles 7:14; Psalm 33:12 From the American songbook, here is a festival edition of one of our most beloved national songs. Filled with all the fanfare and flourish you would expect, this sparkling arrangement has a cinematic sweep and color. Brilliant orchestrations add a towering impact to the whole, and the gigantic ending makes this setting an excellent choice as a service or concert closer. Majestic! Score and Parts (fl 1-2/pic, ob, cl 1-2, bn, hn 1-2, tpt 1-3, tbn 1-2, btbn, tba, timp, perc 1-3, glock, hp, vn 1-2, va, vc, db) available as a digital download.